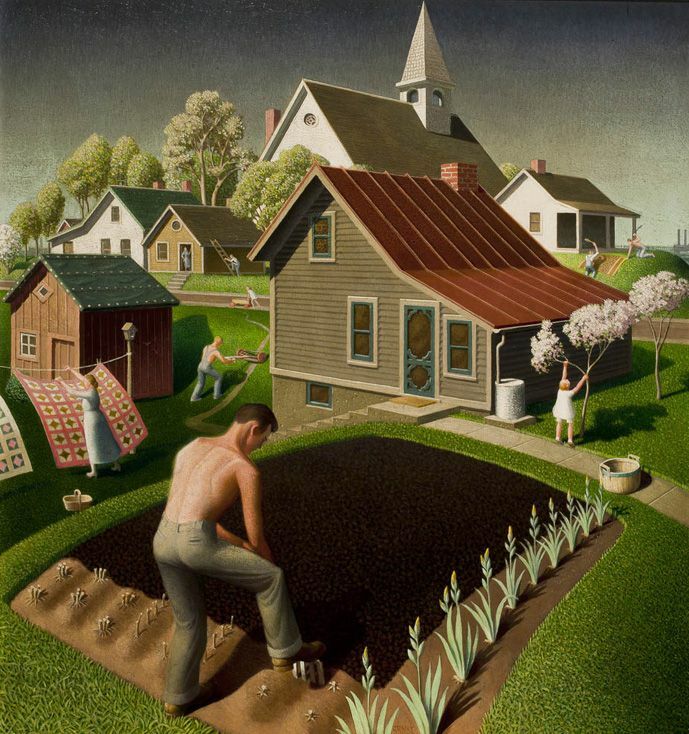 In Grant Wood’s art, “it’s hard to separate homage from mockery, nostalgia from bitterness,” said Ariella Budick in the Financial Times. “An uneven talent,” the Iowa native was barely known outside Cedar Rapids when the 1930 unveiling of American Gothic, his signature work, made him a national celebrity overnight at age 39. The two glum figures in the painting, most often interpreted as a heartland farmer and his wife, could be read as exemplars of admirable sobriety or of a repressive small-mindedness, and knowing more about the artist doesn’t settle the matter. In this and many of his other paintings, Wood “ennobled the Bible-bound agricultural life he was raised in,” but “as a gay man, he also experienced its menace.” A “hugely rewarding” retrospective at New York’s Whitney Museum reveals how such ambivalence informed all his best work.